You’ve changed. You still live in the same place and wear the same clothes. But when we saw you today, something about you was different. The clothes you’re wearing and the hats in your closet don’t suit you anymore. It’s time for something new. 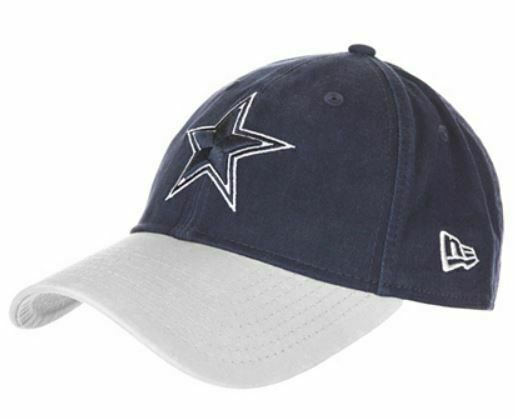 You can start with the Dallas Cowboys New Era Core Classic 9Twenty Cap from the Official Shop of the Dallas Cowboys. A new season calls for a new wardrobe, and this season promises to be like no other. New Era is an international lifestyle brand with an authentic sports heritage that dates back over 90 years. New Era encourages people to “FLY YOUR OWN FLAG™” - to truly express their personal style and individuality through its products. The Official Shop of the Dallas Cowboys is proud to offer New Era headwear to loyal Cowboys fans everywhere.